Product prices and availability are accurate as of 2019-04-02 21:13:06 EDT and are subject to change. Any price and availability information displayed on http://www.amazon.com/ at the time of purchase will apply to the purchase of this product. 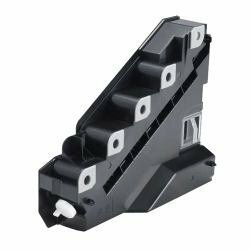 Marketing Information: Keep your work area clean with the Toner Cartridge Waste Container, which collects the strained toner from your DellTM printer. It has been tested and validated on Dell systems. It is supported by Dell Technical Support when used with a Dell system.